Last month, this little internet space turned four years old. FOUR! And tying in very nicely with the 'celebration', I decided Alice's Antics needed an updo, so THANK you Kotryna Bass for this perfect blog design. I hope you all love it as much as I do! The last year has been a bit of a mad one, hasn't it? I would easily say it's not been my most frequent experience of blogging, but it is the one where my blog has reached the most people and made the most impact. 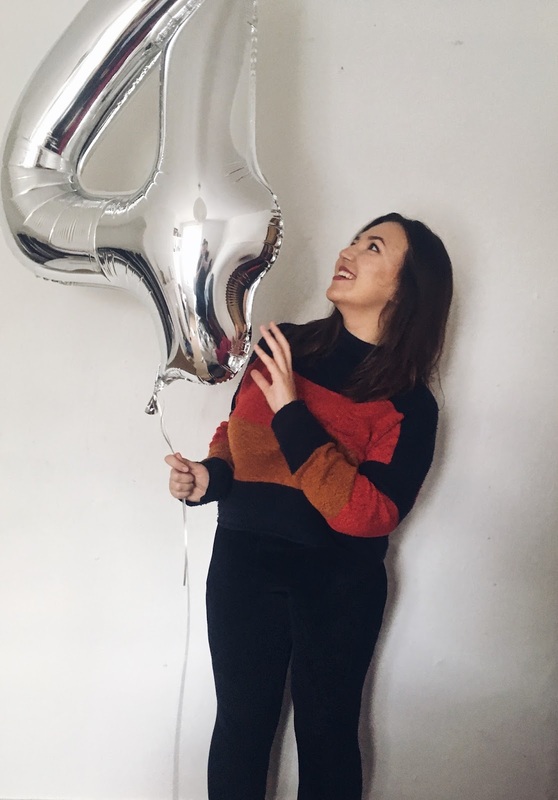 I decided last September I wanted to blog about things which matter to me, no matter how hard they might be to write about, and write things which I would want to hear from other people. And I like to think, I've managed to achieve that this year. We've had to grab our snorkels a couple of times for the bloody deep stuff I churn out, but a number of those posts have had massive responses and it makes my heart so warm to know people are connecting with what I'm writing. I've written a bit about my Autumn Goals (it might even nearly be time for my autumn ones!) but I have a few more goals to add which are entirely blog-related. In a dream world, I'd be posting Monday-Friday, but at the moment I'm going to dedicate myself to 3x per week for now and see how it goes. I feel like I put a lot of pressure on myself because I see so many other bloggers putting out content daily, but I hope to be also working full time, and finding time to blog alongside work is like a giant puzzle, trying to piece your time together! I do have my eye on the Canon G7X Mark II, the goddess of blogging and vlogging cameras. I'm thinking it may fall into my clasp on Black Friday in November. I can't really justify spending the whole amount when I'm trying to save up money to go travelling etc, but I could easily be persuaded if the price drops a little bit. I'm trying to find an overall social media goal for this time next year, but I can't seem to decide on one. So let's go for it and say I'd love 2000 followers on all of my social media by September 2018! I actually have over 4000 of you reading this, so it shouldn't be too hard, but you never know with these things! I realised the other day that 2013, my self-acclaimed 'favourite year', will be five years ago in January. And with that in mind, I decided 2018 would be my next favourite year. It's already shaping up to look very good, so more on that soon! I hope you all like the new blog design and are have had the best weekends. THANK YOU for clicking on Alice's Antics, whether this is your first post ever, or you've been here since the beginning, it means the world.